People in Fiji's Ra Province will be blessed with relief supplies, mostly clothes, donated by the Fijian Community in PNG. 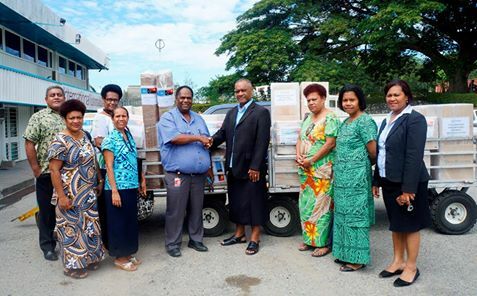 National Airline, Air Niugini will be uplifting this one point two tonne of supplies at a discounted rate to Nadi, Fiji. This is to assist people affected by the recent cyclone. Fiji High Commission's First Secretary Vilitati Mataitini says Air Niugini was one of the first corporate organizations that had come to their aid in facilitating the delivery of the relief supplies. He says, Fijians have slowly moved on after the cyclone and this donation will greatly assist them in rebuilding their lives, expressing his appreciation for the support. The supplies are expected to be delivered to the ten villages of Ra Province.